We are a well-known Manufacturer, Exporter and Supplier of industrial Hastelloy Plates. These plates are manufactured using premium quality raw material which has tremendous resistance to corrosion. We use the best of technology at our state-of-the-art manufacturing unit in making our products. Our company ensures stringent quality checks that match international standards. At Chemtech Alloys, we guarantee complete customer satisfaction through our prompt delivery services of large consignments also. 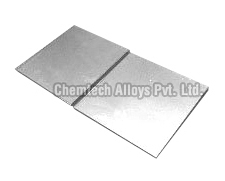 It is hence, that we are counted amongst the leading Hastelloy Metal Sheet Plate Suppliers. Our Hestelloy Plates are in high demand all over the world owing to their superior quality and reasonable prices, making us a distinguished Hastelloy Plates Exporter.